An accident can happen on any type of roadway. While it can be easy to get complacent, we must all remember to remain aware while we are behind the wheel. Accidents can happen without warning, and they can leave victims dealing with negative life impacts for many years. On May 31, a minor traffic accident involving two vehicles was reported to the Boston Police Department. Emergency personnel were first alerted to the incident around 9 in the morning, and they were dispatched to the scene shortly afterwards. Once arriving at 1634 Blue Hill Avenue, Officer Allan Kelley and other responders found that at least one victim had sustained injuries. EMTs administered medical care at the scene. The extent of the injuries is still being determined. However, they appear to have been minor. No further details were reported. The accident in question luckily did not cause any major injuries, but some vehicle accidents can be much more dire. We ask all drivers to remember that an accident can happen suddenly. 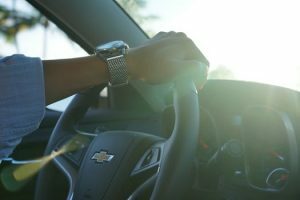 Even brief moments of negligence can lead to a collision, and it is essential that all drivers do their part to prevent accidents. Victims who are injured have a right to seek recovery for their losses. As involved members of the community, we at the Law Offices of Jeffrey S. Glassman are committed to raising awareness about the importance of driving with the utmost care at all times. We want our roads to be safe for all who cross them. However, we realize that accidents cannot be completely avoided, so we are also dedicated to helping victims and their families receive the aid they need to focus on healing.